Now that winter has come to the Northern Hemisphere, it’s the perfect time to reminisce about this past year’s summer holidays, and to plan for future ones. 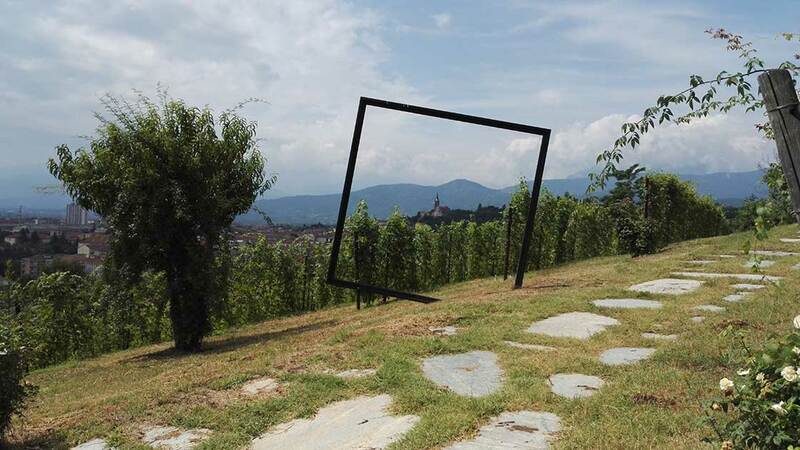 Last July and August, we spent a few weeks travelling through France and Northern Italy, and it became a truly unforgettable trip, not in the least through a series of chance encounters. Carnevale 2011 Pinerolo by nicolorion, licensed under CC BY 2.0. A few of those lucky coincidences happened thanks to my activities on Vivino and the amazing friendships that have formed there. Italian star reviewer (and fellow champagne lover) Davide Toreno mentioned he was opening a wine bar in Piemonte, and so we ended up in Pinerolo, a city of only 35,000 inhabitants, about 50 kilometres southwest of Turin. It also gave me the idea for a new series of blog posts, called ‘A Wine Lover’s Perfect Day Out in…’, featuring unique and unexpected places where wine lovers can have authentic experiences with like-minded people, off the beaten path. Next time you’re in the wider vicinity of Turin, or passing through Piemonte, I’d highly recommend you plan a stop in the lovely town of Pinerolo and spend a day (and night) soaking up the authentic atmosphere there. Allow me to suggest a few things to do and places to visit. If you’re going in summer, you might want to wake up early and take a leisurely morning stroll through the city before the sun has heated up the facades, pavements and cobblestones. But even if you prefer to sleep in, like I do, there are plenty of places where you can find shade or refreshment. To start off your day – Italian style – go for a coffee and/or something sweet at the cute little Caffé’ Savoia near the San Donato cathedral. If you’re lucky, there might be a free seat at one of the tables outside, but otherwise: venture in and there is plenty of seating on the first floor. Then, if you’re anything like me, after breakfast it is time for the first proper wine tasting of the day. You can of course head straight to Davide’s wine bar Into The Wine to sip a glass of sparkling wine as an aperitif, but personally I prefer to go there later in the day, and visit a local winery first. Merenda Con Corvi vineyards. Pinerolo, Italy. 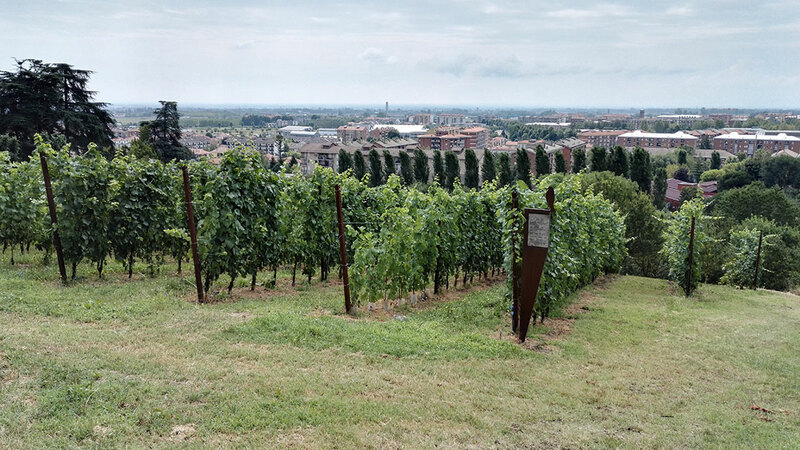 The best place for that in Pinerolo is Societá Agricola BEA, the Merenda Con Corvi winery, located on a hill overlooking the city. Davide had recommended it to us, and it’s a beautiful place, run by warm-hearted and welcoming people – with personality! Francesco Romano, together with his family and co-workers, makes great Barberas, and they have more recently ventured into growing Merlot and Pinot Noir as well. The vines are still fairly young, but the potential is unmistakable. Definitely a winery I’m keeping an eye on for the future. Pool at the Merenda Con Corvi winery / Residenza La Beccata. Pinerolo, Italy. As a bonus, which can be convenient after a lengthy tasting session at the winery, the family also runs a guesthouse/residence on site, called Residenza La Beccata, where you can experience even more of the family’s hospitality in one of the 4 modern and stylishly furbished apartments overlooking the vineyards. 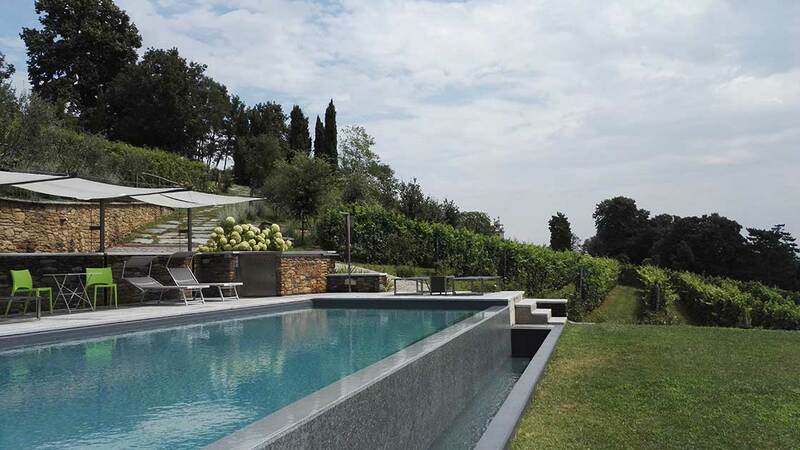 Enjoy the views over Pinerolo while meandering between the vines, join the family for a visit to the cellar and a tasting of their wines, or dream up your own vineyard-owning future from the comfort of the lounge chairs overlooking the splendid pool. Wine bar Into The Wine, Pinerolo, Italy. If, after all the tasting, you could use a break from wine (as if! ), you have the opportunity to go search for cultural, historical or spiritual refreshment in the San Maurizio basilica with its impressive interiors, the 9th-century Cattedrale di San Donato, the cavalry museum or one of the other specialised smaller museums in town. But all this is just a diversion in order to work up an appetite for one of the other highlights of a wine lover’s day out in Pinerolo: Davide and Luca’s Enoteca/Vineria Into The Wine. Davide of Into The Wine, introducing us to some of the local delicacies. Pinerolo, July 2016. The bar opens for a few hours around noon, and then from 4pm until the late evening, so it’s the perfect place to warm up for your dinner with a glass (or bottle) of sparkling wine, or to wind down after an early evening meal. As a light snack you can choose from a range of appetizers, and I particularly liked their platters of local cheeses and cold cuts. 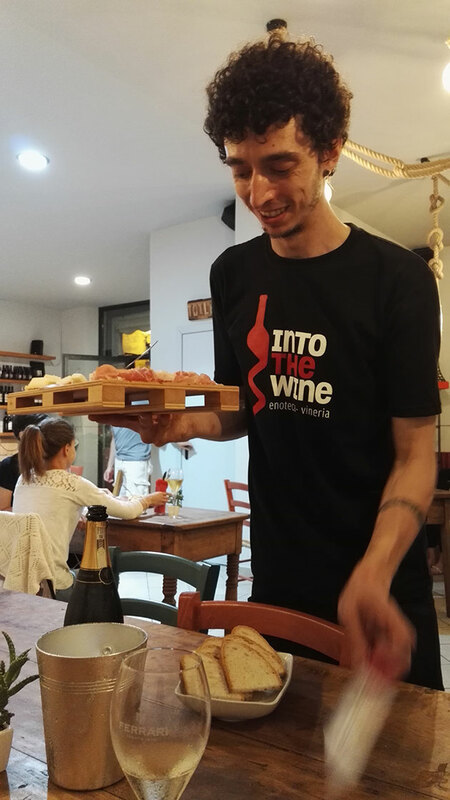 Davide is happy to help you decide on the best wine to go with your chosen dishes, and the fact that he’s fluent in English (and truly knows his wines) helps a lot. They attract a mixed local crowd, which adds to the overall authentic ambience. It’s a place where I immediately felt at home. 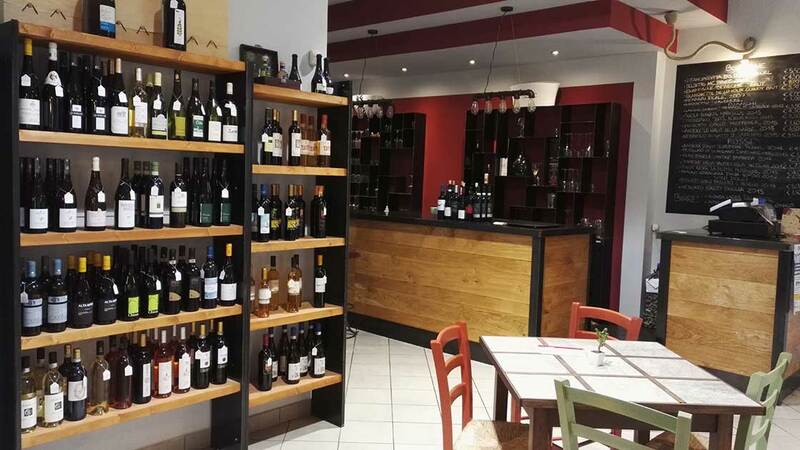 If after all this you are in need of a filling, hearty meal, you can pick one of the dozens of osterias, trattorias, tavernas and ristorantes that dot the city centre. We finished our splendid day in Pinerolo in the old-world charm of Albergo Regina, the restaurant on the ground floor of the hotel with the same name, enjoying a lavish 3-course meal and a bottle of Paulo Scavino’s 1995 Barolo Cannubi. The perfect finale to an unforgettable day. A heartfelt thanks to everyone who helped to make our time in Pinerolo so special. Panorama a 360° di Piazza San Donato a Pinerolo by Iron Bishop, licensed under CC BY-SA 3.0. What are your favourite places to go and things to do in the area?